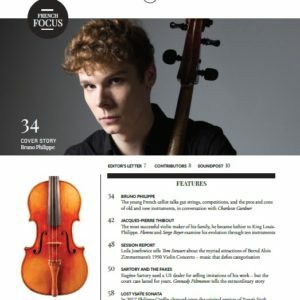 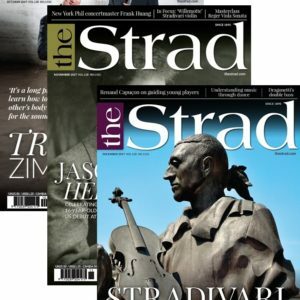 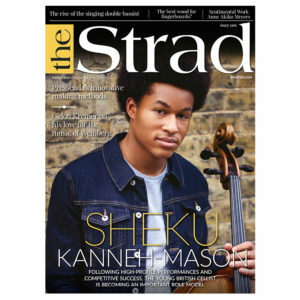 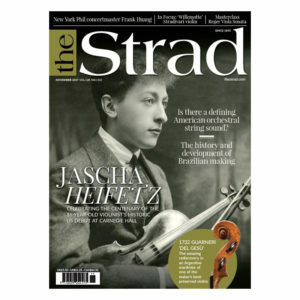 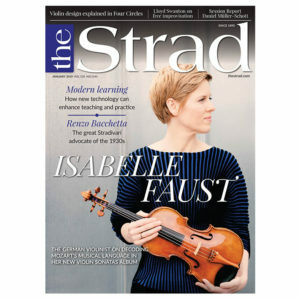 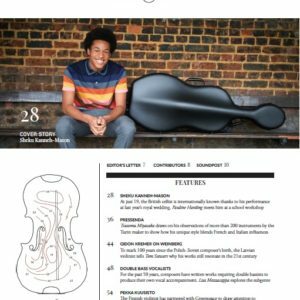 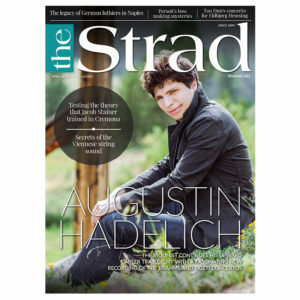 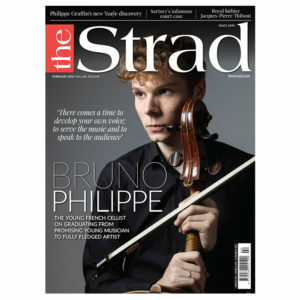 Augustin Hadelich discusses his new CD and we explore the career of luthier Jacob Stainer. 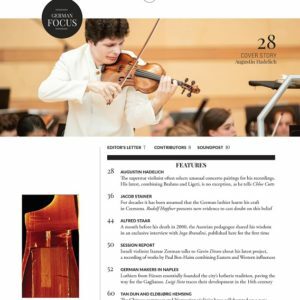 Jan Vogler gives a Schumann Masterclass and there’s a detailed examination of a Persoit bow. 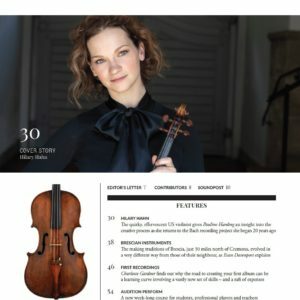 Plus Antje Weithaas on the Tchaikovsky Concerto. 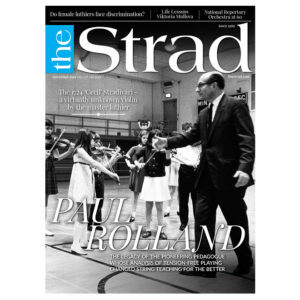 We examine the legacy of string teacher Paul Rolland and ask whether female luthiers face discrimination in this day and age. 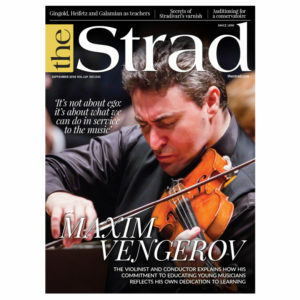 James Ehnes gives us his Sentimental Work, and Viktoria Mullova tells of her Life Lessons. 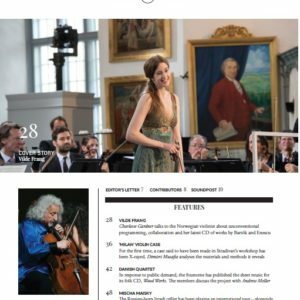 Plus a Masterclass with Carolin Widmann. 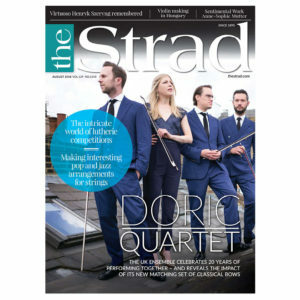 We talk to the Doric Quartet about bows and recordings, and get tips on making arrangements of non-classical works. 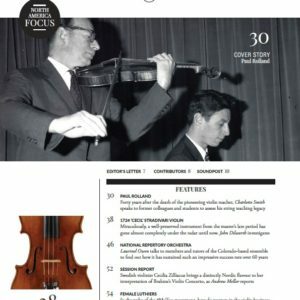 Anne-Sophie Mutter tells us her Sentimental Work there’s a Beethoven Masterclass and we look back on Henryk Szeryng’s playing career. 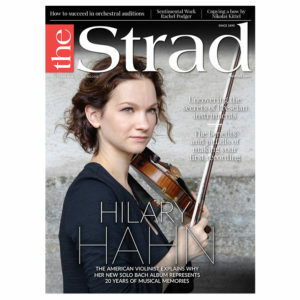 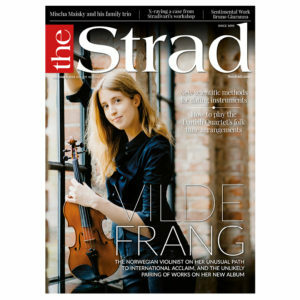 Plus, the fall and rise of violin making in Hungary. 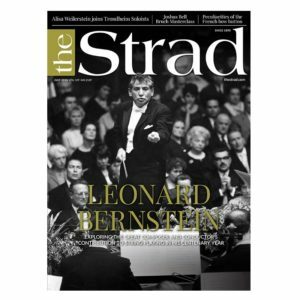 We look at Leonard Bernstein’s contributions to string music and investigate the development of the French bow button. 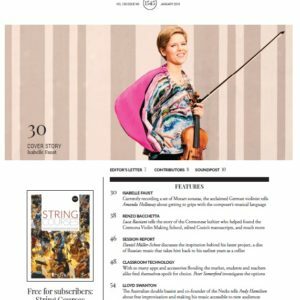 Joshua Bell gives a Masterclass on Bruch and Jennifer Koh gives her Sentimental Work.